We both enjoy savory cocktails, but there isn’t a vast variety out there outside of bloody marys and dirty martinis. So we thought we’d experiment a bit and see if we could come up with a few new options, and soy sauce seemed like a reasonable place to start. It brings some lovely savory salty and umami notes. We tried it with several base spirits, including gin, scotch, mezcal and aged rum. Christa wasn’t a big fan of it with gin, but Shaun quite liked it. It would probably make a nice dirty martini or Gibson. We both felt that it didn’t work at all with the scotch. We tried both a smokey scotch and a sweet smooth scotch. In both cases, the soy pulled out some serious bitter notes that were not appealing. However for the mezcal and the aged rum the soy pulled out some interesting notes that we felt could work as a starting place for a couple new cocktails. 2-3 dashes of soy sauce, depending on how dirty you like it. Stir with ice, strain into a glass and garnish with pickled green pepper corns. Palate: Salt, smoke and petrol, followed by a tingly mint leading into resiny spicy notes. This fades into mineral flavors followed by a sweet and bitter finish. The spiciness on the mid-palate is almost like rye. Nice silky mouth feel. Petrol comes back as an after taste. Minty, resiny spice is not something we normally get with this mezcal and it’s certainly not coming from the Barenjager or the soy sauce. This is definitely one of those drinks where the various components are coming together to make something entirely different. Stir with ice, strain into a glass and garnish with a lemon twist. Palate: Sweetness, salted caramel and orange at the open, then bitter orange and lemon peel. This is followed by burnt sugar bitterness, ala black strap, with umami notes from the soy sauce. Spicey orange finish with wine notes from the sherry. Overall we’d have to say that the soy sauce as a cocktail ingredient was a success if used wisely. In most cases the soy sauce pulls out more bitter notes from the spirits than expected. So you need to either counter balance that with some sweetness or in the case of scotch, just not use it. Both these drinks use the soy to bring some interesting notes to the party and are well worth trying if you want something a little bit more savory. Give them a whirl next time you are craving something along the lines of a dirty martini. 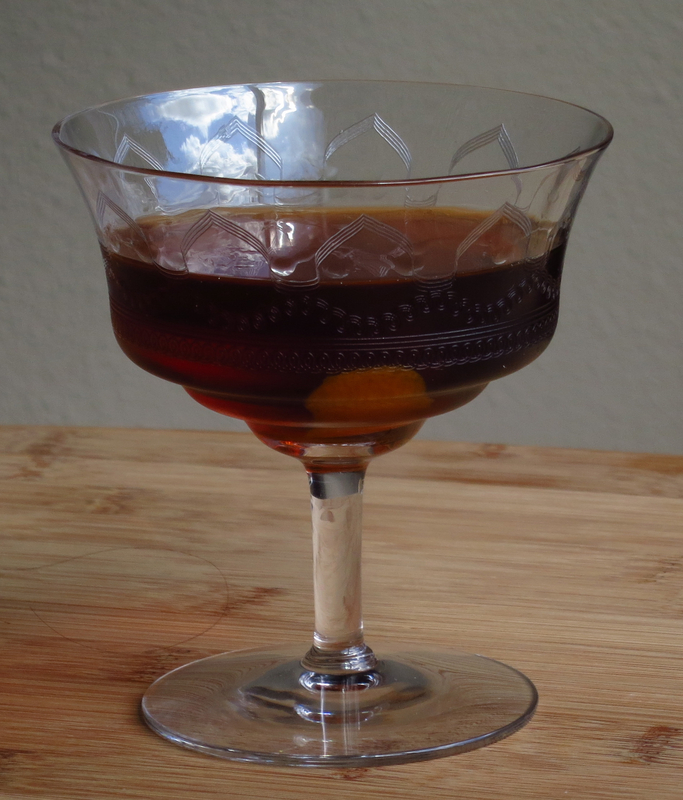 This entry was posted in aged rum, barenjager, creole shrubb, mezcal, Original Cocktail and tagged aged rum cocktail recipe, black helicopter cocktail recipe, creole shrubb cocktail recipe, mezcal cocktail recipe, tokyo pirate cocktail recipe. Bookmark the permalink. Very adventurous! I’m wondering if it would work with a dry, spicy rye (like a High West or Dickel rye) or if whiskey should just be avoided entirely. Oh, the options! Good question! We’re planning on trying it with other spirits to see if it was just scotch or if other whiskeys suffer from similar issues. 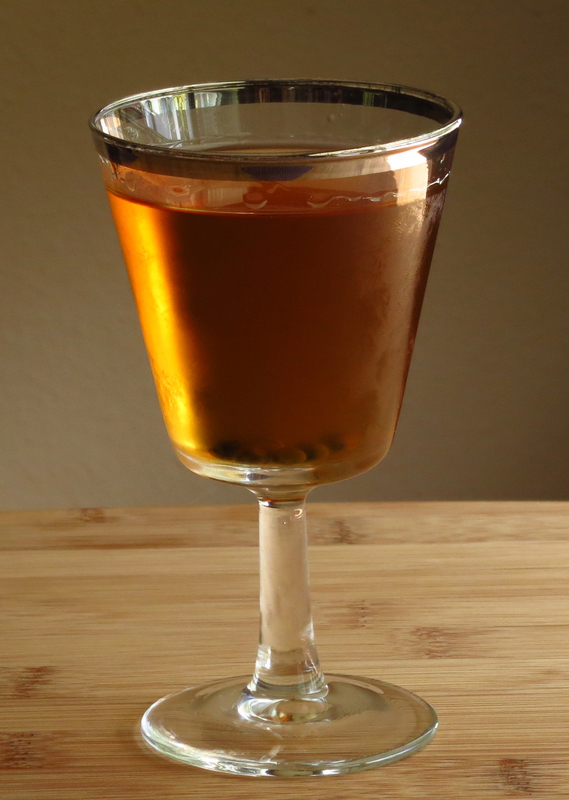 I really love the Umami flavour in a cocktail, it is such a boost to some really good drinks. I have actually made this into a bitter and it is very good in several cocktails. Check it out if you are interested in ramping up from just soy sauce to a multi-levelled Umami Bitter. I appreciate the use of soy sauce, it was part of the inspiration to make an Umami Bitter. http://www.bar40bitters.com. Cool! We’ll have to try it out. Very interesting! Just found your post after adding a dash of soy sauce to a simple brandy and ginger ale. It tastes like liquid caramel! Beautiful… obviously this is going to need a little development, but my God… what a great starting point!